One of my favs at the Moog/Switched On Showcase at Elysium on 3/16/13, and indeed all of SXSW, was experiencing Xeno and Oaklander, a two piece synth outfit from Brooklyn, NY. It was like being transported back to the early 80’s watching my sister get ready for the night with Depeche blaring on her cassette player. 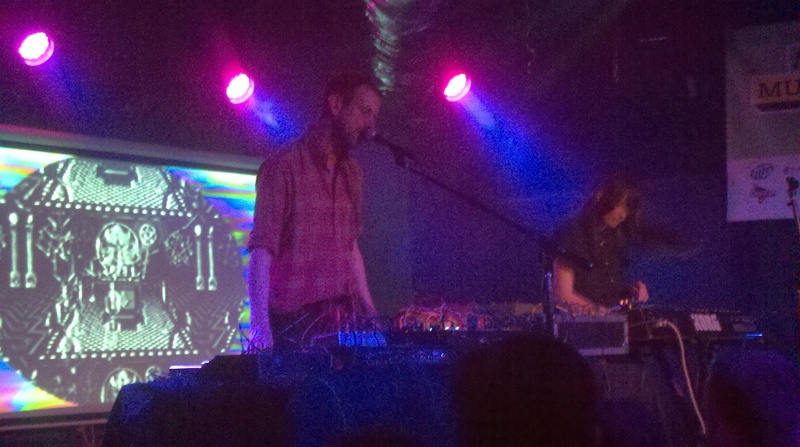 What struck me immediately about Xeno and Oaklander was the cold precision of their analog synths. “Cold” really is the best way to describe their sound. It could also be the fact that as soon as they started to play I suddenly noticed a giant silver airhole blowing freezing cold air on me. At any rate, their sound brought to mind the beautiful and austere music of Chris & Cosey with the danceable playfulness of Vince Clarke. The vocals of both members, Sean McBride and Liz Wendelbo, were also absolutely fabulous. Sean’s tended to be more clipped and fell into perfect line with the rigid fast paced minimalism of the synths. 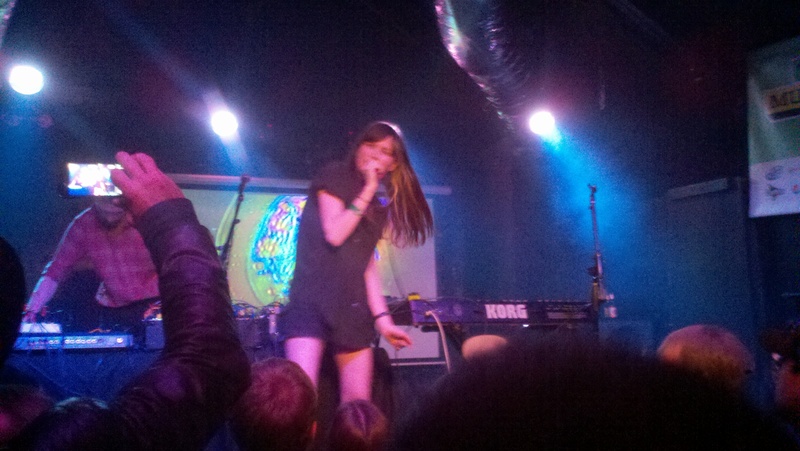 Liz’s vocals, however, I found rather hypnotic. Her vocal apparatus produced a breathy sweet tone much like an English choirboy. I jotted down, ” like an angel floating effortlessly above an unfeeling and unrelenting noise”. Her vocals were more melodic and elastic, but also fragile and pure. 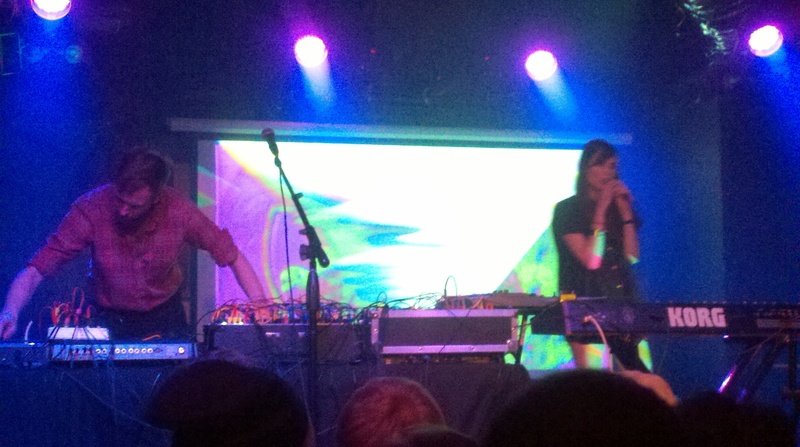 It was a great juxtaposition of sounds to experience live, Liz’s vocals and the freezing forbidden tone of the synths that only technology can produce. I’d highly recommend them especially if you’re into groups like Chris & Cosey. 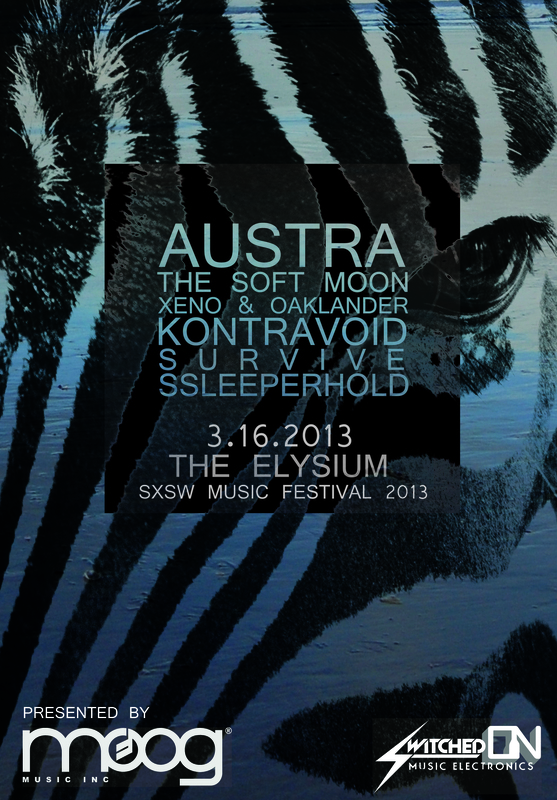 This entry was posted in News and tagged Austin, Elysium, moog, Showcase, Switched On, sxsw, Texas, Xeno and Oaklander. Bookmark the permalink.